VERSATILITY IN MOTION: Arc'teryx recognizes that the lightweight windshell is an outdoor essential and is used for a range of activities. Freedom to move is key, so the Squamish Hoody's patterning and gusseting provide ergonomic function for hiking, biking and climbing. Another aspect is weight. At a scant 155g (5.5 oz) and extremely packable, the Squamish Hoody is easy to bring along, especially for those who move fast and light. 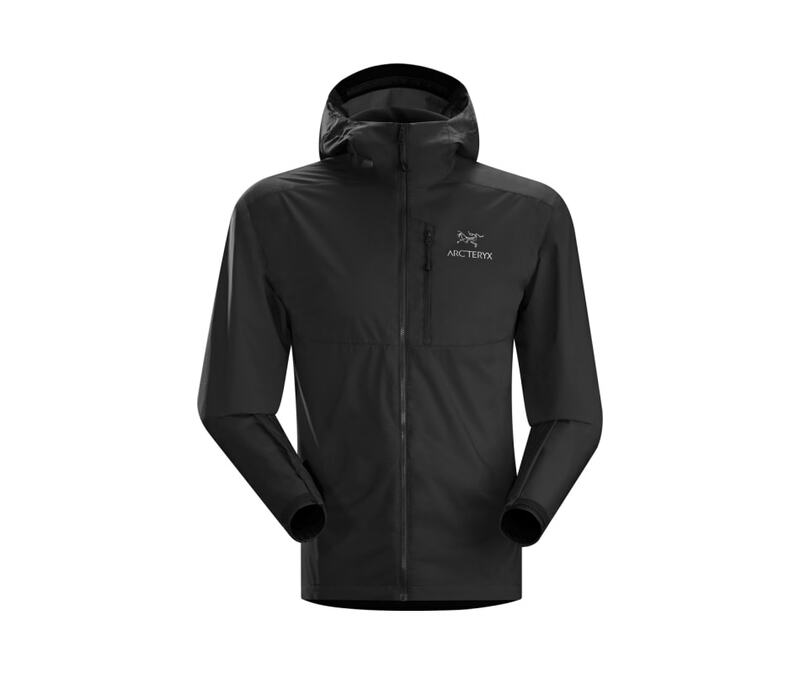 tA BETTER HOOD: Arc'teryx puts incredible focus into every feature. Everything has its reason, is developed and selected to maximize performance. The Squamish Hoody features the Arc'teryx StormHood. Helmet compatible, the StormHood can be cinched with one-handed drawcords, pulling it tight to rotate with the head. This provides ergonomic freedom and allows for improved vision while on the move.